Big Grove Brewery Releasing “Citra Triad” Lineup of Beers! Add this to another fantastic idea for Big Grove Brewery as Bill and company will be releasing a “Citra Triad” beers. It will be a 12%, 9%, and 6% Arms Race brewed simultaneously (into FV4-6) then hopped to hell. The beer checking in at 6% is the regular Arms Race, BGB-15 Minuteman will come in at 9% and Trident IIX will come in at 12%. 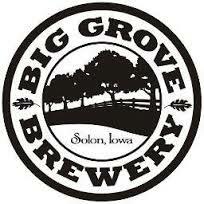 Beers are scheduled to be released at Big Grove Brewery on December 15th and December 19th to other accounts. Stay tuned as December just got fun at Big Grove! Prairie Christmas Bomb Returns this week! Official Big Grove Brewery Press Release on Citra Triad!